Surveyors blog is the online face of Society of Chartered Surveyors Ireland (better known as SCSI). This Society is known as the largest professional body designed for property and construction professionals with more than 4,000 members. The Society of Chartered Surveyors Ireland has now partnered with RICS and now enjoys the expanded base of 120,000 members from around the globe. In the online portal, everything is covered related to the respective organization, its partners, important events, latest happenings and newsworthy stories related to real estate. Serving its members well, this blog has made its entry in the Top 10 Construction Blogs to Follow in Ireland. The CIF is national and regional representative for construction industry workers in the country. This organization is well recognized by the respective government and public bodies across Ireland. Moreover. It’s a social partner for them. The CIF.IE.com is the online representative of this ever growing organization. This website is the body that has all the latest updates, news coverage about the activities and events of this organization. As the CIF has different sector groups in its very roots to make sure each area of the industry has a voice in decision making, this website makes sure that voice is heard and taken into consideration. RIAI.IE.com represents the Royal Institute of Architects of Ireland which itself is a Regulatory and Support Body for Architects in the country. This institute also provides support services for Architectural Technologists. This institute also engages with Government, professions, industry and public to provide the value for quality design architecture. All this for a better designed, sustainable and attractive environment. This website is the only medium of the Institute to deliver its world to a wide audience on a better and well-heard platform which no specific limitations, only freedom of speech. Thanks to these attributes, the RIAI.IE.Com made its name in Top 10 Construction Blogs to Follow in Ireland. The EngineersIreland.ie.com entertains a member base of 24,000 members while covering every discipline of engineering. This blog is the voice of engineering profession in the country. The Organization of Engineers Ireland has been known to represent the profession of engineering since 1835. This fact makes this blog one of the oldest and most trusted professional body in the country. Not to mention, this blog also managed to score its place in the Top 10 Construction Blogs to Follow in Ireland. By promoting the knowledge of engineering and maintaining standards of professional engineering, this blog has taken the organization’s approach to another level. The IrishBuildingMagazine.ie.com is an online portal of the bestselling read publication and regarded in short this is one in all pack the online portable of this magazine is to keep the readers with media brand for the construction industry in the country. This website covers all news mentioned in the subscription-based magazine has assured its place in the Ireland. This magazine and its online portable cover considerable print, the web and digital press awhile proving itself to be a well-counted resource for all the tools you may use to your advantage. The Irshbuildingmaagazin.com not only covers “latest news but also tips related to the field it belongs to. The Construction News magazine is the official publication of Construction Industry Federation in the country. This constructionnews.ie.com is the official website of this magazine as it covers all the explicit details you would like to know firsthand. This website not only provides the update on recent stories but a briefly detailed intro of the upcoming ones that the subscriber can’t wait for. Also, this website names the authors readers would like to know better about. Apart from that, this website contains all the explicit details that can make all the stories a little bit more entertaining, yet informative. Due to this, the ConstructionNews.ie.com made its way into the Top 10 Construction Blogs to Follow in Ireland. Dating back to 1859, the Irish Time has made a name for itself as it delivers the top notch news, analysis, and opinions. Continuing its tradition of excellence, the online portable Irishtimes.com is another stepping stone to greatness. Evolving with the digital technicality, the Irish times has moved from only print to multiplatform publication as it upholds the journalistic principles that led to its success. The same is with its online portable as it is placed among the Top 10 Construction Blogs to Follow in Ireland, which creates another mark for its achievements since its introduction. 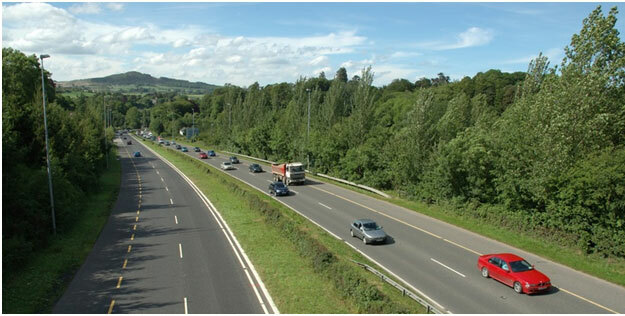 The CISIreland.ie.com serves as the leading construction intelligence database. This very database is responsible for the provision of critical information on all important points of construction across all 32 counties of the country. The well qualified and experienced team of this intelligence database is known for researching valuable projects in deep details to make sure the business can make imperative decisions in no time while this site generated the perfect leads for their respective pipelines. Proven to provide only quality and beneficial information, this website has been enlisted in the top 10 construction blogs. This adds up to the overall trust and value of the database portal. If you wanted a valuable resource for information related to your business in Ireland, then your search is over the Top1000.ie.com annual directory of top 1000 companies that have been operating in Ireland for over the past ten years. This directory was brought to the online word by Irish times. The idea was to create a definitive database of the largest companies operating in the country. This database covers all important details on the mentioned companies along with the capability for searching by industry, key employees, company, and information that relates to turnover, profit, assets, and employees. Every bit of data provide here is compiled and verified by none other than the Irish Times. Passive House Plus is known as the first English-language magazine that focused on building and improve the energy standards of this world. The official website, PassiveHousePlus.ie.com has taken this initiative to another level. Yes, it continues the evolution for building a sustainable energy infrastructure for the betterment of Ireland. Covering all the latest from an award-winning magazine, this website pays special attention to the whole concept of making something sustainable in the small market of the country. With its ambitions, the Passive House Plus official website has been named in the Top 10 Construction Blogs to Follow in Ireland.